Jessy Sutton with “Slugger” who’s ranked #9 Breed and #5 All breed in the country. The 2018 Westiminster Kennel club and Dog show is fast approaching. My dog, GCHS Hallmark’s Sandbox Slugger at Markenhaus will be there. He is professionally handled by Jessy Sutton. “Slugger” is a smooth-coat Chihuahua. He’s ranked #9 Breed and #5 All breed in the country right now. 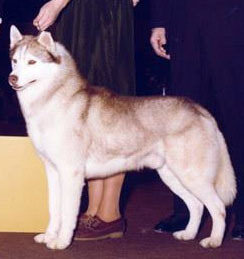 At age two, Slugger has won a best in show, reserve best in show and has multiple group placements. We are excited to see him compete, but the Chihuahua ring is super strong this year. There are some beautiful dogs in the competition so I heartily encourage you to check them all out during the televised activities. Here’s a quick rundown of what you should know about the event. The Best In Show competition includes the Masters Obedience Championship. Before the two-day main event, the club also hosts a “Meet and Compete” event, featuring the Masters Agility Championship and a Meet the Breed Session. Breed rounds take place at Piers 92 and 94, while Madison Square Garden hosts the Best In Show and group rounds. 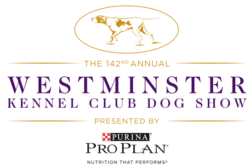 The full schedule of Westminster Kennel Club Dog Show coverage on FOX, FS1, Nat Geo WILD and FOX Sports GO can be found below and at WestminsterKennelClub.org. DOG SHOWS 101, courtesy of the American Kennel Club, explains How a Dog Show Works, The Road to Best In Show, Judging And Standards, Benched Shows, Breeds & Varieties. Groups, and a Glossary. If you’ve ever wondered what all those prefix titles and abbreviations mean, check out http://www.akc.org/events/titles/. Some of the most common include GCH (Grand Champion), GCHB (Grand Champion Bronze), GCHS (Grand Champion Silver), GCHG (Grand Champion Gold), GCHP (Grand Champion Platinum), and CCH (Bench Show Champion). Most dogs are competing for points that go toward their AKC championships. To become an American Kennel Club “Champion of Record” it takes fifteen points, including two majors (wins of three, four or five points), awarded by at least three different judges. At Westminster, more than 2,700 dogs in 202 breeds will compete for Best in Show. Each breed falls into one of the seven group classifications – Sporting, Hound, Working, Terrier, Toy, Non-Sporting, and Herding. Only the Best of Breed winners advance to compete in the Group competitions. Four placements are awarded in each group, but only the first-place winner advances to the Best in Show competition. 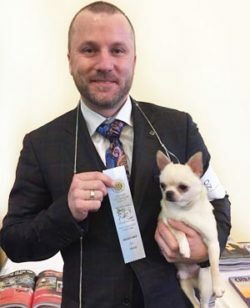 As I mentioned in my last post, 2017’s Best in Show was won by a 5 year old German Shepherd out of Wisconsin called Rumor (Lockenhaus’ Rumor Has It V Kenlyn) and became only the second of its breed to take the top prize in the event’s history. Her handler, co-owner, and cobreeder was Kent Boyles. Alas, she will not be around to defend her title as she retired from competition (after winning more than 100 best in show awards) to become a Mother. In August 2017 she eight puppies (four girls and four boys). Here’s a list of all the Breed Group Winners from last year with the winner pictured. So who are the literal top dogs for this year’s event. A list of all the official 2018 Westminster Breed Invitees is available at http://infodog.com/show/westminster/breed.htm. Four or five dogs are listed for each of the 202 groupings. Terriers have been the most common winning breed of Best In Show, as that breed has won Best in Show 46 times. The second-most common is Sporting, with 19 wins, then Working with 15. First held in 1877, the Westminster Kennel Club Dog Show is America’s second-longest continuously held sporting event, behind only the Kentucky Derby (1875). The first telecast of Westminster was in 1948, three years before “I Love Lucy” premiered. The Empire State Building first honored Westminster by lighting its tower in the Westminster colors of purple and gold in 2004. A couple of canines we might label as “underdogs” for their missing features have made an appearance. A two-legged dog named Nellie participated in the first Westminster show ever in 1877. In 1980, Cinnar, a Siberian husky missing part of its ear, became the only one if its breed to claim the top prize. At one point, a movie called “A Little Magic” about the dog and its owner Trish Kanzler, was in the works.